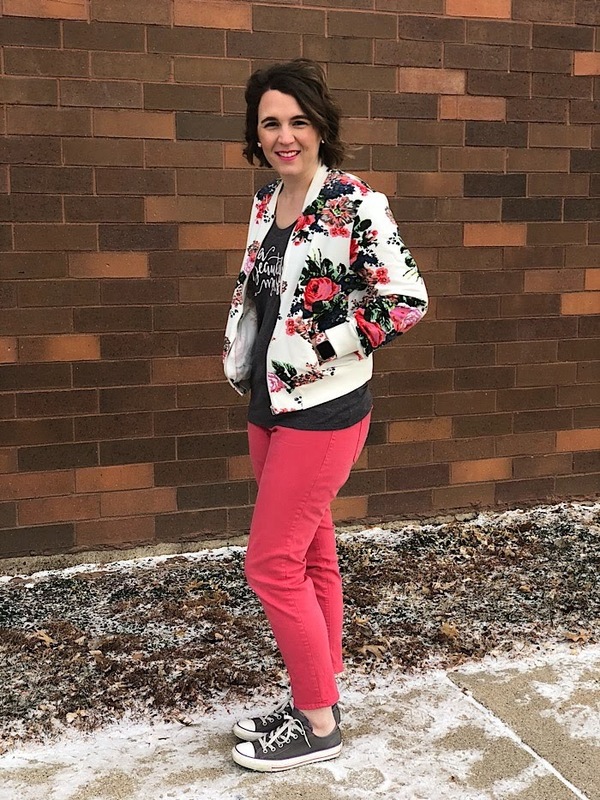 This month the How I Style It crew is sharing our Galentine's looks! 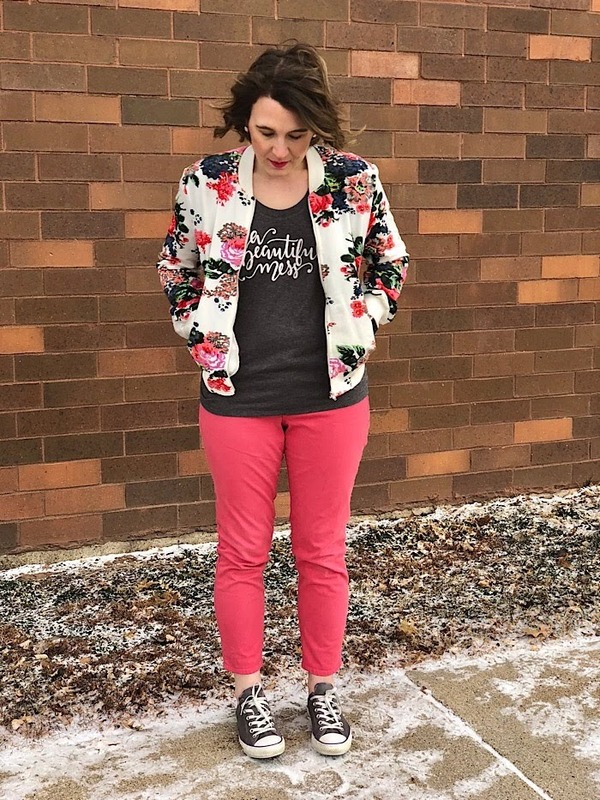 Make sure you stop by to check out Della, Nicole and Tif's outfits! Sometimes it's fun to just go out with the girls for the night. 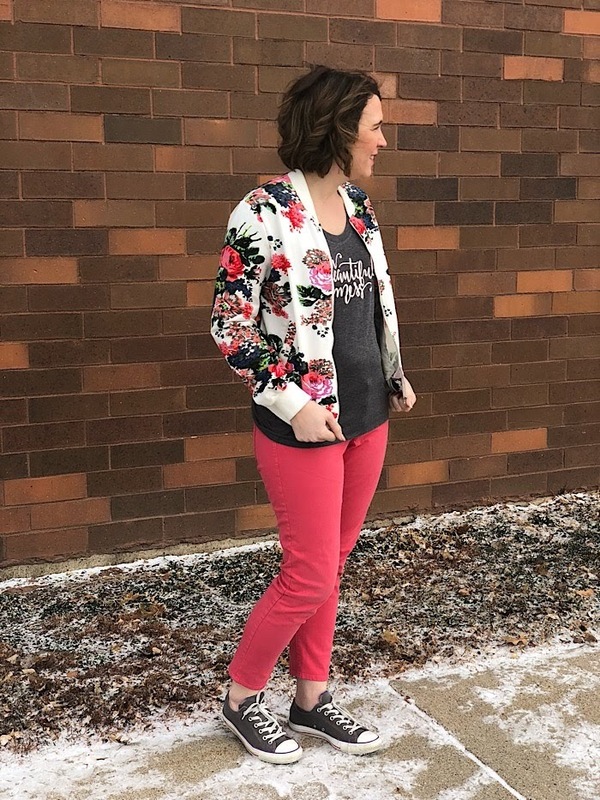 This look is comfy, which is what I'm all about, but it has some fun pops of pink that work for Valentine's Day and transitioning into spring. I've had these skinny jeans for such a long time. I keep thinking I'll get rid of them and then I find something else to wear them with! 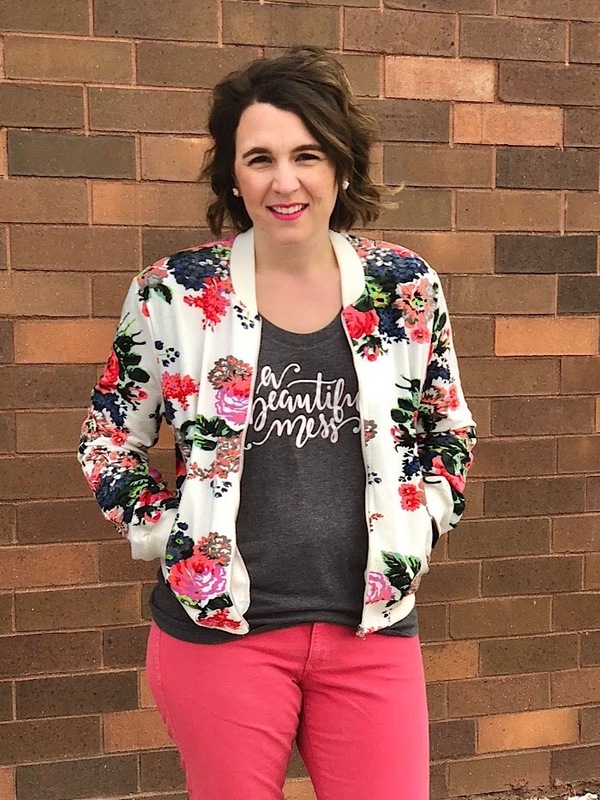 They really go with the flowers on the jacket. I pulled out my trusty converse (don't look to close, they're a bit dirty!) and it totally pulls it all together with the gray tee! 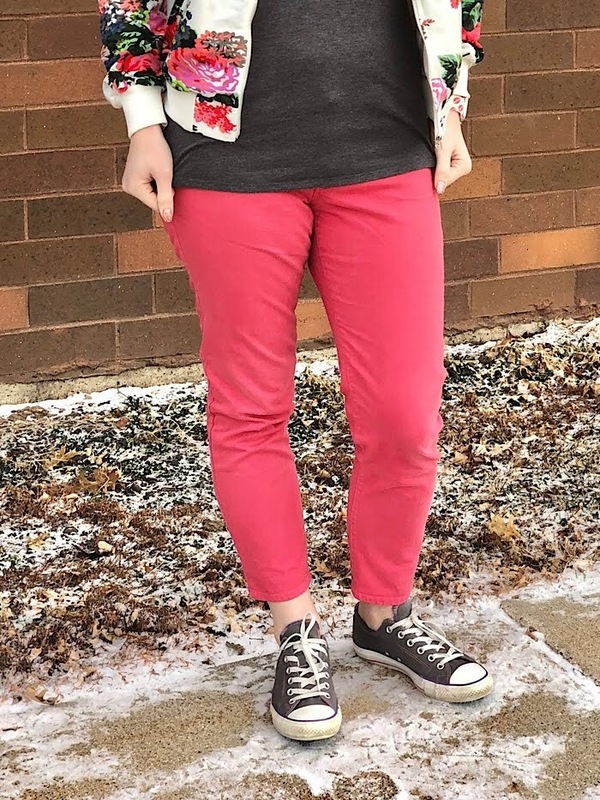 I skipped wearing many accessories with this outfit because I didn't want to compete with the graphic tee and floral print. These Loren Hope Studs, however, add a fun little pop. As for the actual Valentine's Day, I'll be spending it with the hubby and my boys! Not sure yet if we'll go out or stay in. What will you be up to?